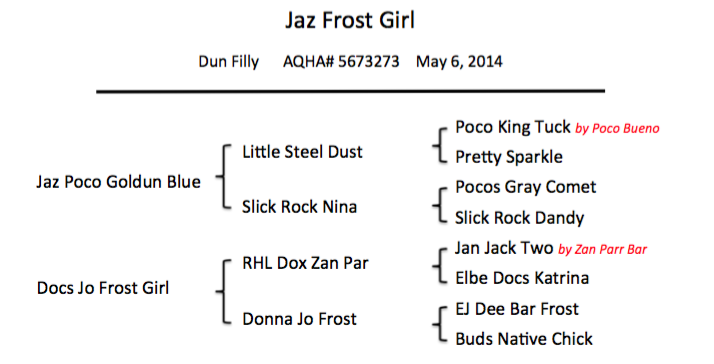 Here is a standout filly by the most photographed Grulla stallion in the world, Jaz Poco Goldun Blue. Legenday sire Poco Bueno, and AQHA Champion and 2010 AQHA Hall of Fame inductee Zan Parr Bar are only one generation off of her standard 4 generation pedigree. 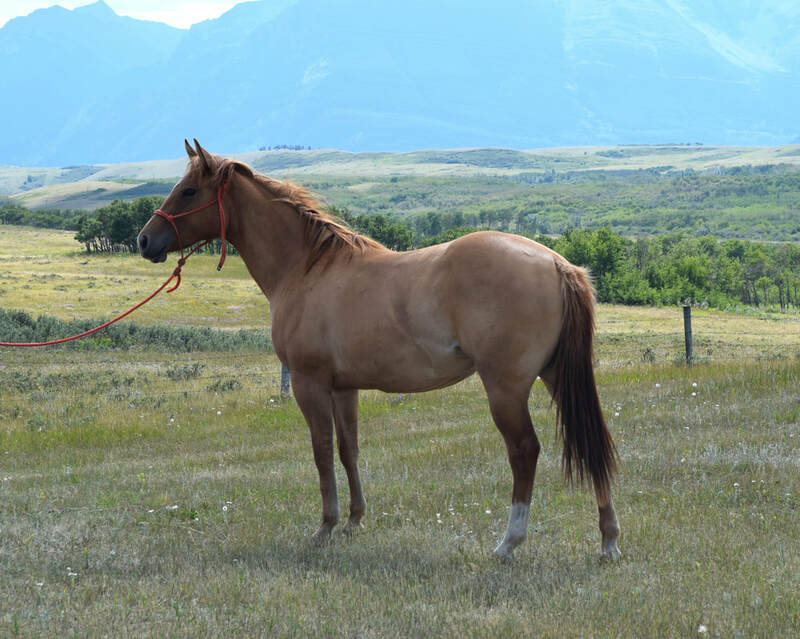 Her credentials and academic disposition have earned her a spot in our program as a future producer of solid and dependable ranch horses for Rocking Heart Ranch.